Temperature and humidity are two important factors in maintaining optimal comfort levels and good indoor air quality. 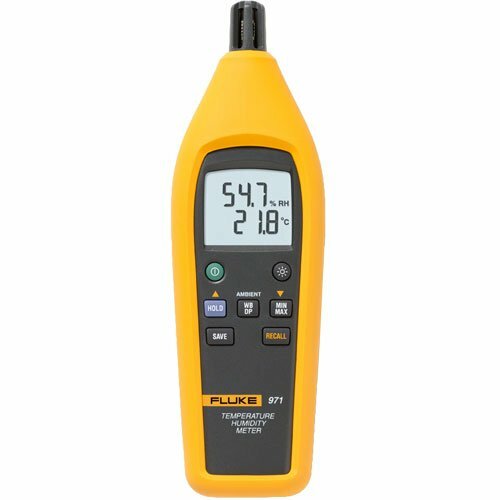 Quickly and conveniently take accurate humidity and temperature readings with the Fluke 971. The Fluke 971 is invaluable for facility maintenance and utility technicians, HVAC-service contractors, and specialists who assess indoor air quality (IAQ). 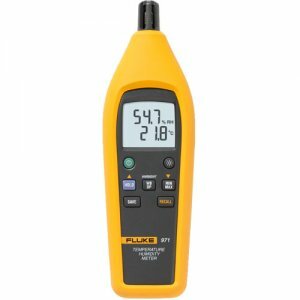 Lightweight and easy to hold, the Fluke 971 is the perfect tool for monitoring problem areas. With its rugged holster, the Fluke 971 is built to perform and made to last.